If you are interested in the sport of agility, why not take a class? 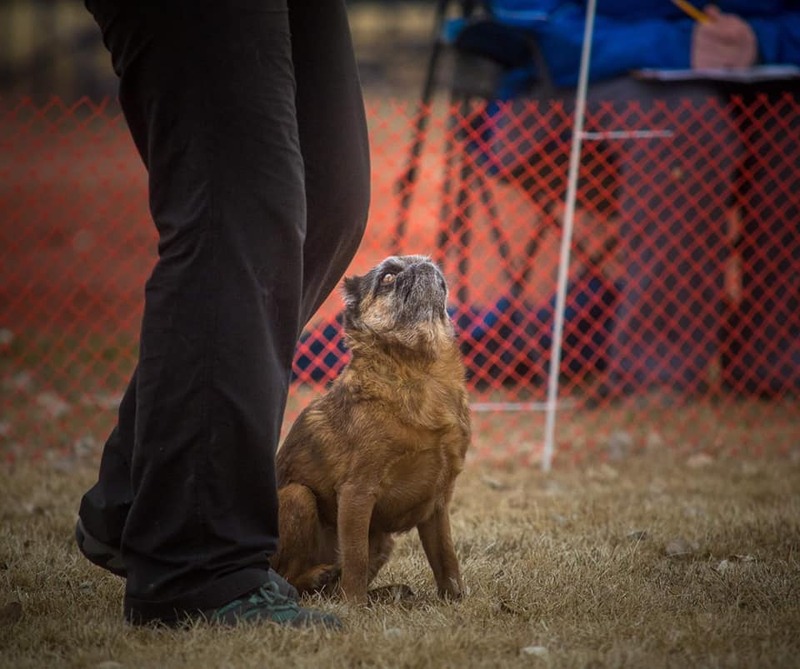 Classes are a great way to introduce yourself and your dog to the sport of agility. We offer a wide variety of instruction for dogs of all ages. It is never too early or too late to start training your canine best friend. Not all classes are offered at all times. We have an ongoing class list for all our classes. If there is a class you are wanting to take please email us to be added to that class list. This class introduces your dog to the world of agility. There is so much more beyond the equipment to teach our dogs! Asking them to become athletes means we need to work their bodies. In this class we teach our dogs how to properly warm up for activities. Through use of the wobble board and planks we teach them movement and body awareness. We start to teach basic handling motions and intro a jump, tunnel and the table. In level two we take what is started in level one and start to put it on equipment. You will learn handling skills of front/rear and blind crosses and put small sequences together. As well learning where appropriately to put these moves into a sequence. In level three you are introduced to contacts and weaves and how to safely and properly execute these pieces of equipment. We also put more obstacles together into a sequence and start to fine tune those crosses working on the strengths for you as a handler and with your dogs. We are getting you ready to go! In this class we make sure those weave poles are looking good and your dog is finding the yellow contact on those large pieces of equipment. The sequences are getting tougher and we begin to work distance, discrimination and directional cues. Indoors (winter sessions)- Sequences- can you determine where to put that cross? Is there more then one option? What works best for your dog? These are what we work on. As well fine tuning handling techniques, body positioning, verbals and body language. We also work distance and discrimination. Outdoors (summer sessions) Learn the courses of agility! We set up Standard and Jumpers courses, as well teach the games of Snooker and Gamble. Our class location is in Dunmore, AB, the address is 922 3rd Ave.
Coming from Medicine Hat you take the first right into Dunmore and then take a right, you will see three buildings in a fenced yard on your left, proceed through the gate. The black area is student parking, please pull into the building to maximize parking for everyone. As parking is limited please do not arrive more than 10 minutes early to class to allow previous students to leave and instructor’s time to set up what is needed. Classes are $70 for 6 weeks, payment can be made by cash (exact change please) or cheque on the first night of class. Final payment for class is due on Registration Night. Once registered, there are no refunds. In case of extreme extenuating circumstances, a refund or class credit will be given on a case-by-case basis as determined by the class instructor. NSF checks will result in an additional $20 administrative fee.